How Far is Mont Vert Sonnet? 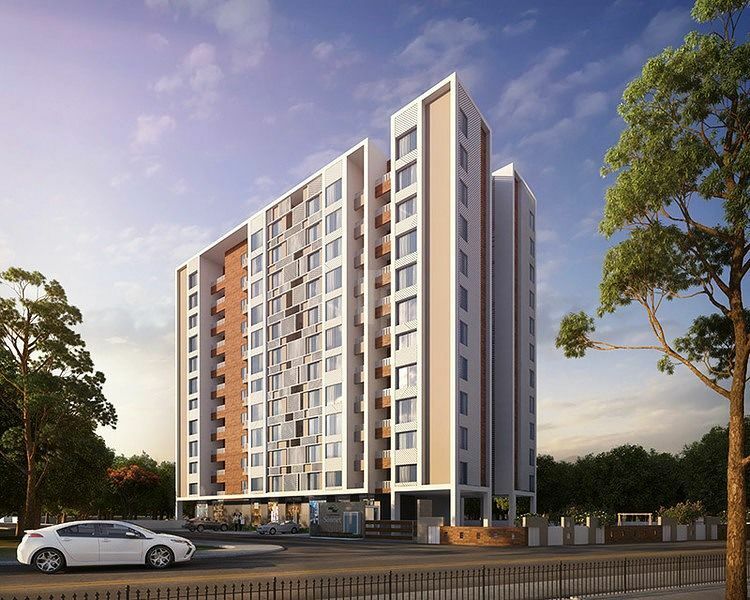 Looking to buy 2 BHK flats in Wakad, Pune? 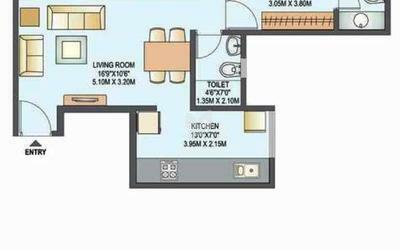 Looking for affordable flats in Wakad? Looking for flats in Wakad closer to good schools? Looking for flats near Hinjewadi, Pune? Then buy flats in Wakad at our affordable residential project Mont Vert Sonnet. Mont Vert Sonnet is a residential project of 2 bedroom flats in Wakad - a project at a great value for money without any compromise in quality. 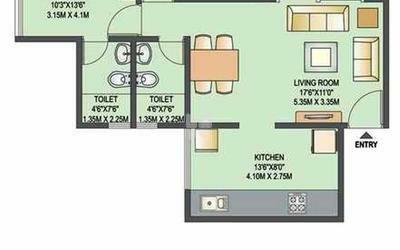 Mont Vert Sonnet is ideally located project of 2 BHK flats in Wakad. It consists of a total of 94 apartments with attached balcony. Mont Vert Sonnet has 9 shops. Mont Vert Sonnet is a beautifully designed single building with 12 residential floors, each floor with well-planned eight flats. Three automatic elevators ensure efficient service. Mont Vert Sonnet has a provision for adequate car parking in two levels. The lifts and common area lights are with a full power backup. Common amenities include a beautifully landscaped garden with children play area. Mont Vert Sonnet is a gated community of affordable apartments in Wakad, Pune. Wakad is a self-sufficient West side suburb in Pimpri Chinchwad Municipal Corporation (PCMC) close to Hinjewadi. This residential project is near Indira Institute and Akshara International School. Mont Vert Sonnet is less than 1 km away from Mumbai-Bangalore National Highway 4 (NH4). Two popular schools namely Indira National School and Akshara International School are located within 600 meters form Mont Vert Sonnet. With the passion for building beautifully planned insightful homes, we started our journey in Pune 27 years ago. Ever since, we have been building welldesigned residences in Pashan, Baner, Aundh, Balewadi, Wakad, Pashan Sus Road, Bhugaon (near Kothrud), Urawade, and Pirangut. We have a home for you in every budget range across the city. And we haven’t stopped there. We have gone beyond luxury homes and built breathtaking second homes / holiday bungalow projects in Lonavala. Along with that, Mont Vert has also developed commercial properties from small shops to big showrooms. At Mont Vert, we create living spaces that provide a balance of comfort and luxury. Our promise of unparalleled service and exceptional quality helps us transform your ‘house’ into a ‘home’ that exudes a sense of belonging. Our philosophy of honesty and transparency has earned us the most valuable award – the faith and trust of our happy clientele.